The multi-engine propeller-driven aircraft had departed from Teterboro Airport in New Jersey. There are no details on injuries. 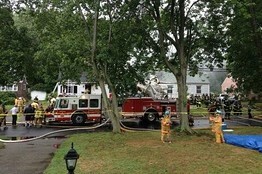 EAST HAVEN, Conn. — A small plane approaching a Connecticut airport has crashed into a house, touching off a fire. The East Haven Fire Department dispatcher says the extent of any injuries from the crash is unknown. A neighbor, David Esposito, says he heard a woman screaming that her children were inside the burning home. He says he went into the house but had to leave because of the fire. Smoke is rising from the scene and photographs show a small house on fire. The Federal Aviation Administration says the multi-engine propeller-driven aircraft flew out of Teterboro Airport in New Jersey and crashed as it approached the Tweed New Haven Airport at 11:25 a.m. Friday. Ambulances and emergency crews from multiple jurisdictions are responding. 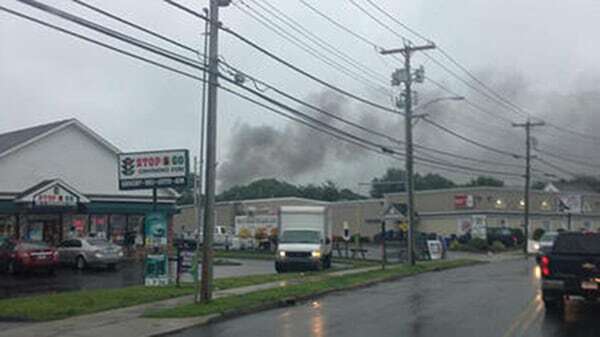 EAST HAVEN, Conn. — Connecticut officials say a small plane has crashed near an airport and that three people are missing, including two children inside a home that caught fire. Officials say two homes caught fire in the crash. David Esposito, says he heard a woman screaming that her children were inside the burning home. He says he went inside with the woman but had to leave because of the fire. Update-Child, teen confirmed dead after East Haven plane crash. 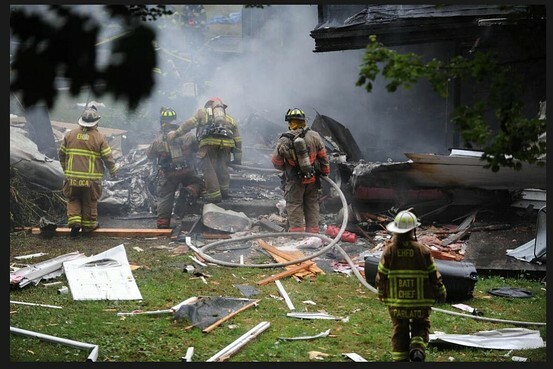 A plane crashed into two homes in East Haven Friday morning destroying both in a massive fire and killing a child and teenager. Fire officials said they received word of the plane crash at 64 and 68 Charter Oak Ave. around 11:22 a.m., and when they were en route to the scene, mutual aid was requested for other local fire departments to help extinguish the large fires. "It's total devastation," East Haven Mayor Joseph Maturo Jr. said. Maturo said the mother of the two missing children is doing as well as she possibly can, and officials are doing whatever they can to assist her. Witnesses said seconds after the crash, the unidentified mother was screaming for her children that they were still in the house. Maturo said the mother is currently with family members and the family priest. Officials from Tweed Airport in New Haven said the plane was en route to the airport from New Jersey, and was scheduled to land on Runway 2. Airport officials said the plane missed the approach and there were no signs of distress before the plane fell from the sky and hit the homes. Officials also said the pilot was in communication with air traffic control before the crash. Tweed Airport is now closed, official said. Maturo is asking anyone near the scene or heading to the scene to stay away so officials can begin investigating the incident. Gov. Dannel Malloy announced Friday afternoon that he was headed to the scene. Another news conference is scheduled for Friday afternoon, but Maturo did not give an exact time.